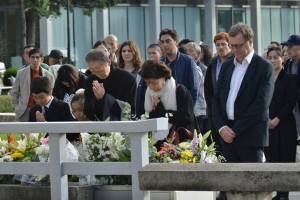 As the second edition of the Hiroshima International Film Festival begins today, 15 international invitees arrived at Hiroshima, including Mr Jean-François Rauger, program director of the Cinémathèque française and Portuguese film director Miguel Gomes, and participated in the flower offering in memory of the victimes of atomic bombing at the Hiroshima Peace Memorial Park. 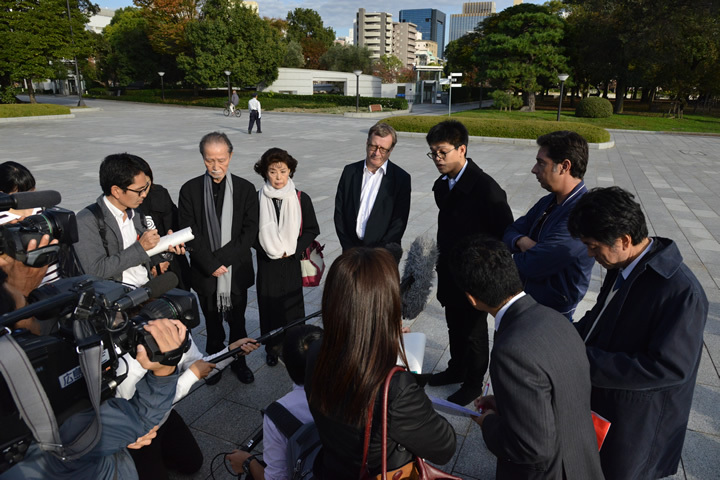 The festival previews new and classic films of all genres, a meeting ground for the general public and cinema professionals. 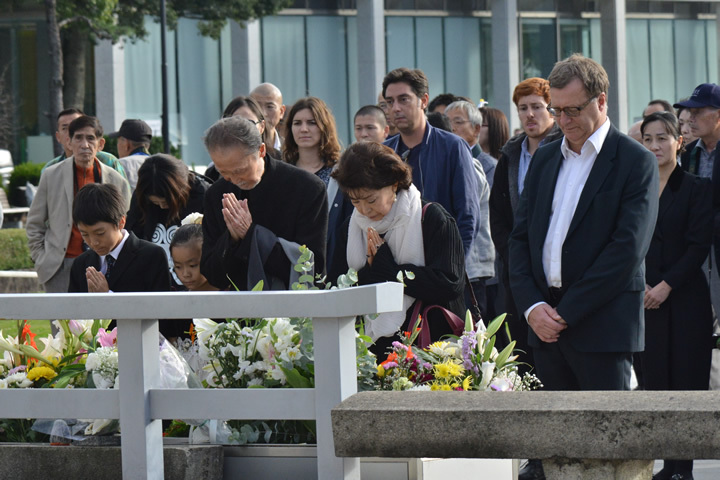 The opening ceremony and the opening Cine-concert take place on November 20th 2015 at 7:00 p.m. in the presence of Mr Governor of Hiroshima Hidehiko Yuzaki, Mr. Kazumi Matsui, Mayor of Hiroshima and president of Mayors for Peace, and Mrs. Francine Méoule of the Embassy of France in Japan/Institut français of Japan. Welcome to the Hiroshima International Film Festival !